← Education and Migrants making THEIR KIDS life in Australia. China has little ENGLISH = Look at us now = better than even English background Indians !! 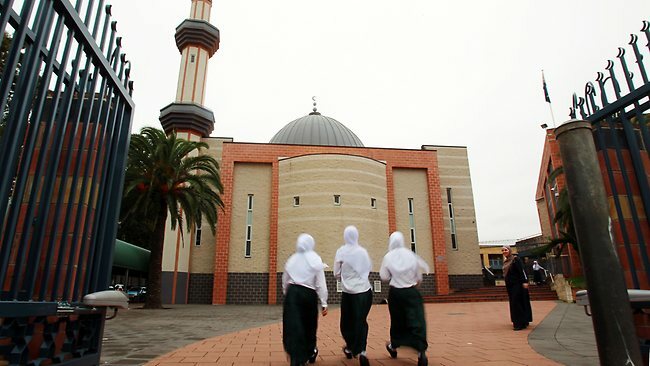 AUSTRALIA’S biggest Islamic school has been ordered to pay back $9 million in public funds to the NSW government after it found millions in taxpayers’ money had been diverted to the country’s peak Muslim body. A CLOTHING company which supplies school uniforms has made a court application to wind up Malek Fahd Islamic School in Sydney because of its alleged failure to pay debts of $286,303. In its application lodged with the Federal Court, Duboke Pty Ltd, trading as Oz Fashions, alleges Malek Fahd has failed to pay 11 invoices dating from January 18 to February 14, this year. The Federal Court of Australia will hear the matter next Friday. Documents filed with the Australian Securities and Investments Commission show that Duboke and Malek Fahd’s parent company, the Australian Federation of Islamic Councils, share the same business address at 932 Bourke St, Waterloo. Duboke made its application on July 19, 11 days before the NSW Minister for Education, Adrian Piccoli, wrote to the school asking it to repay $9 million in state-government funding. Mr Piccoli said the school had breached funding requirements which prevent it from operating for profit. He said the school was transferring money to the Australian Federation of Islamic Councils without receiving any services. The Association of Independent Schools of NSW was also asked to terminate more than $1 million the school receives in National Partnership funding for disadvantaged students, as part of a five-year agreement between state and federal governments. For its state government funding to be reinstated, Mr Piccoli said the school would need to provide credible evidence that services were being provided in return for the money it transferred to the federation. Mr Piccoli wrote to the federal Minister for Education, Peter Garrett, saying he had referred the matter to police and the Australian Securities and Investment Commission. The federal Department of Education commissioned an independent audit of the school in December to find whether it was spending public funding on the education of students. The Herald was unable to contact the school principal, Dr Intaj Ali, for comment yesterday. In a statement on July 31, he disputed Mr Piccoli’s findings that the school was operating for profit and said he would challenge his decision. The Herald also sought comment yesterday from the federation, which declined to comment and from Duboke’s solicitor, Marc Ryckmans, who did not return calls. 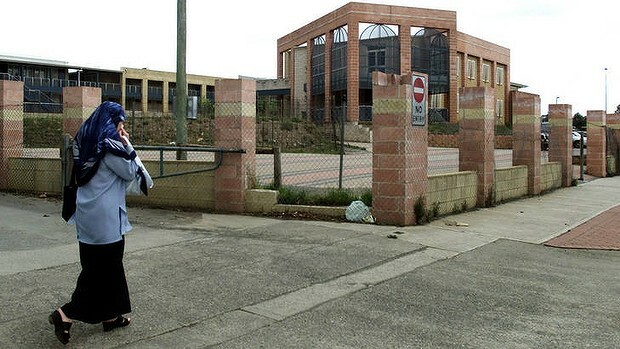 Sydney Islamic school Malek Fahd has been forced to repay $9 million in NSW government funding because it was found to be transferring money to a Muslim organisation. The NSW Minister for Education Adrian Piccoli has written to the school asking it to repay the money because it had breached requirements preventing it from operating for profit. Mr Piccoli said the school did not receive services in return for money it gave to the Australian Federation of Islamic Councils. “I have instructed the NSW Department of Education and Communities to terminate the school’s funding,” Mr Piccoli said. The school receives more than $1 million in annual funding for disadvantaged students through a five-year national partnership agreement between state and federal governments. Geoff Newcombe, executive director of the Association of Independent Schools NSW, said today he would write to the school saying its national partnership funding for 2011-12 would be withdrawn. “We are in the process of writing to the school now to say the national partnership funding has been cancelled,” Mr Newcombe said. “Our aim is to work closely with the school for the benefit of the students so that they can be readmitted to the program once the school is operating as a not-for-profit school. Mr Piccoli said that, for the school’s state government funding to be reinstated, it would need to provide credible evidence that services were being provided in return for the money being transferred to the Australian Federation of Islamic Councils. “I continue to have serious concerns about other financial transactions at the school, including the systemic lack of record keeping and documentation,” he said. Mr Piccoli has written to the Federal Minister for Education, Peter Garrett, saying that he had referred the matter to police and the Australian Securities and Investment Commission. The Federal Department of Education commissioned an independent audit of the school in December last year to find whether it was spending its public funding on the education of students. A spokeswoman for Mr Garrett said the Commonwealth was satisfied that Commonwealth funds had been used for legitimate purposes. “However, the examination did reveal a number of transactions that did not appear to represent value for money to the school,” she said. In April, Mr Garrett announced that education ministers around the country had agreed to streamline reporting requirements of non-government schools, particularly those relating to financial decisions and governance. He said there were nine different regulatory systems and every non-government school had to work under both state and Commonwealth regulations. “I’m very pleased that my education minister colleagues have agreed with my suggestion to work together to streamline regulations and provide better accountability over the use of public funding,” he said. “Non-government schools receive significant public funding and all governments have a responsibility to ensure this funding is being used appropriately. Malek Fahd has excluded year 11 and 12 students who are not high performers. The Herald revealed the some students were forced to complete HSC subjects at TAFE. The principal of Malek Fahd, Dr Intaj Ali, said he disputed Mr Piccoli’s findings that the school was operating for profit and intended to challenge the decision. AN Islamic school in Sydney’s southwest has been ordered to pay back $9 million in public funds after it was found to be operating for profit, the NSW government says. Education Minister Adrian Piccoli says he has written to the Malek Fahd Islamic School in Greenacre ordering it to repay the funds following a random audit. “Any school found to have operated for profit will have been deemed to have used their funds inappropriately and in that case I have an obligation as minister to recover those funds,” Mr Piccoli told reporters in Sydney in Tuesday. The school owed $9 million, he said. Malek Fahd, which has more than 2000 students at its Greenacre campus in Sydney’s southwest, receives almost 75 per cent of its funds from state and commonwealth governments. Following an audit ordered by the federal government after reports in The Australian raised concerns about the school’s financial relationship with the Australian Federation of Islamic Councils, Malek Fahd has been told to repay funding given to the school by NSW since 2010 and remains ineligible for state government funds. NSW Education Minister Adrian Piccoli has also asked NSW police and the Australian Securities and Investments Commission to review the school’s financial dealings to investigate possible action against those on the boards of the school and AFIC. A spokesman for federal Education Minister Peter Garrett, who ordered the audit into the school’s finances, said he had been made aware of the NSW government decision yesterday, but the commonwealth would not demand the repayment of federal funds, a move that would force the closure of the school. A move to have the school wound up and placed into liquidation has been made in the NSW Supreme Court, after it allegedly failed to pay a school uniform supplier $286,000 owed on contracts. The Australian revealed last year that Malek Fahd paid AFIC $5.2 million in “management fees” in 2010, an amount equal to one-third of the school’s educational funding from the federal and state governments. The school has also been charged $2.59m in back rent after AFIC retrospectively altered a lease agreement in 2009. The school’s chairman of directors, Ikebal Patel, was president of AFIC at the time, and other AFIC board members were also on the school board. Mr Patel is secretary of AFIC (now called Muslims Australia), with Hafez Kassem installed as president earlier this year after the end of Mr Patel’s term. The Australian understands Mr Patel is still the functioning president of the organisation and is still the school’s chairman. Mr Patel did not return a request for comment but has explained the payments “as simply the formalisation of some pre-existing arrangements and the recovery of some assistance given to Malek Fahd and other schools as they were starting out”. The school’s principal Intaj Ali, who has overseen a largely successful educational performance at the school, could not be contacted but is understood to have been concerned by the actions of the school board and its relationship with AFIC. Mr Piccoli told the principal Malek Fahd now owed the state government $9,038,255. He has also told Mr Garrett he has instructed the NSW Education Department to pass on documents relating the investigation to NSW Police and ASIC. Mr Patel has not given an account of the funds once they went into AFIC, with a federal audit of the school ordered by Mr Garrett after The Australian found the school achieved no value for money for a range of payments worth millions of dollars to AFIC. Mr Garrett expressed concerns about the school board’s relationship with AFIC. “I consequently have concerns regarding the potential for conflict between the interests of the school and its students on the one hand, and the financial interests of AFIC on the other,” Mr Garrett wrote to Dr Ali on March 21. A clothing company that supplies school uniforms has applied to wind up Malek Fahd Islamic School in Sydney because of its alleged failure to pay debts of $286,303. Duboke, trading as Oz Fashions, made the application, which will be heard by the Federal Court on August 17. Documents filed with the Australian Securities and Investments Commission show that Duboke and Malek Fahd’s parent company, the Australian Federation of Islamic Councils, share the same business address at 932 Bourke Street, Waterloo. Court documents allege that Malek Fahd has failed to pay 11 invoices dating from January 18 to February 14 this year. The application was made on July 19, which was 11 days before the NSW Minister for Education, Adrian Piccoli, wrote to the school asking it to repay $9 million in state government funding. Mr Piccoli said the school had breached funding requirements, which prevented it operating for profit. He said the school was transferring money to the Australian Federation of Islamic Councils without receiving any services in return. In his letter to school principal Dr Intaj Ali, Mr Piccoli said he had instructed the NSW Department of Education and Communities to terminate the school’s funding. He also wrote to the Association of Independent Schools of NSW to terminate its National Partnership funding. The school receives more than $1 million in annual funding for disadvantaged students through the five-year national partnership agreement between state and federal governments. Mr Piccoli also wrote to the federal Minister for Education, Peter Garrett, saying that he had referred the matter to police and the Australian Securities and Investment Commission. The federal Department of Education commissioned an independent audit of the school last December to find whether it was spending its public funding on the education of students. Mr Garrett has said that definitions of what it meant for a school to be operating for profit needed to be tightened. He has said that while the vast majority of non-government schools are doing the right thing with taxpayers’ money, vigilance was needed to ensure public funding was being properly spent. In a statement, Dr Ali said he disputed Mr Piccoli’s findings that the school was operating for profit and he intended to challenge the decision to terminate the school’s funding. The Herald was unable to contact Dr Ali for comment today. The Herald also sought comment from the Australian Federation of Islamic Councils which declined to comment and Duboke’s solicitor Marc Ryckmans, who did not return calls. Adam Shepard has been appointed to act as liquidator to Malek Fahd if it is made insolvent. The school has a history of excluding year 11 and 12 students who are not high performers. The Herald revealed some of its past students were forced to complete HSC subjects at TAFE because they were not achieving high marks in those subjects. 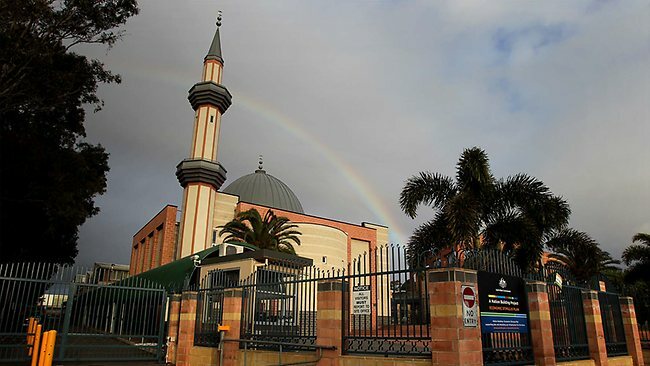 Dominic Bossi writes: Malek Fahd Islamic School has become one of the leaders in Islamic education in Australia and its reputation has convinced families to relocate interstate so their children can attend. Its potential closure has now shocked parents of pupils who have made significant sacrifices for their children’s schooling and has left families with few viable alternatives. “I actually wouldn’t know where to go. I moved from the Gold Coast for this school. That was the only thing that was sending me back to Sydney because I wanted my kids to have a good education. When I got a spot here, I ran back [to Sydney],” Said Diane, a parent of a year 1 student. 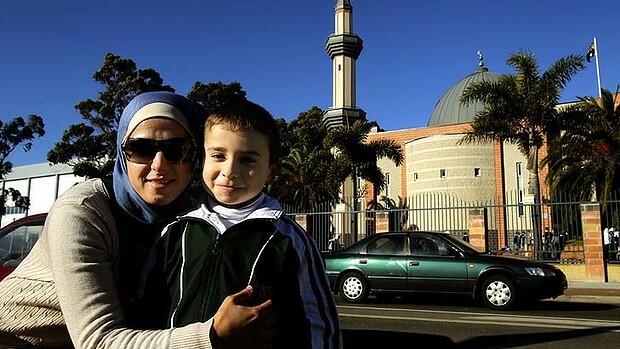 While there are other Islamic schools in Sydney, most parents said they were proud of the balance between religious and academic education offered at Malek Fahd and would not be satisfied to relocate their children. Many parents were not aware of the issues facing the school and some were only told by their children this week. However, despite the troubles, some parents will continue to support the school if it challenges the government’s decision. “Obviously any money that is funded into the school, you want it to go the kids. If money has gone to buy kids new computers or new desks, then I want that money going to the school and not anyone else,” said Abir, who has sent three of her children to Malek Fahd.